A lot has changed for me over the past year, and of course, some of it has trickled down to the blog too. I have cut down quite a bit on the makeup hauls - most of my shopping has been about replenishing basics like foundation/concealer - but the few things that I still splurge on are skincare products. My oily-combination skin doesn't take well to frequent changes in skincare routine, so I rarely try new products, but when I do find something good, I stick to it. The SKII Facial Treatment Mask is quite a raved-about product, but I would never have tried it had I not got it as a sample/GWP from Sephora. It was a single-use pack, and I was impressed enough with it to splurge on a larger pack. Fast forward a year, and this mask now has a permanent spot in my skincare routine. 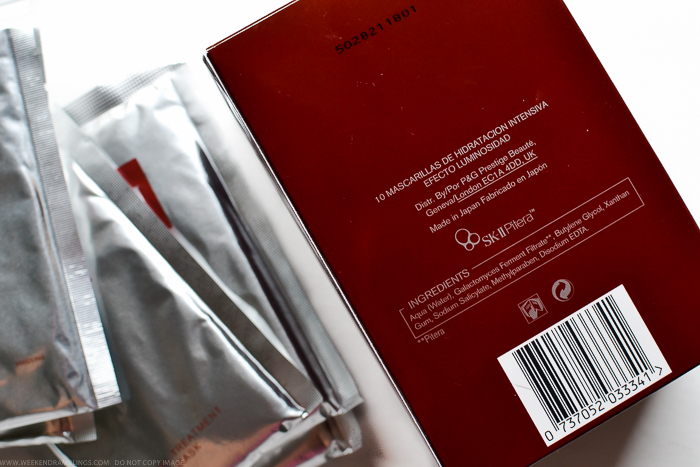 Scroll on for more photos and my thoughts on the SKII Facial Treatment Mask. Like a lot of luxury skincare brands, the SKII skincare range revolves around a unique ingredient - Pitera™ - and of course, there is a story to go with this miracle ingredient. After years of research into nearly 350 different strains of yeast, the scientists at SKII finally came up with Pitera™ - a blend of vitamins, amino acids, minerals, and organic acids that helps with skin renewal and rejuvenation. The most iconic product from the brand is the SK-II Facial Treatment Essence, a facial softener/lotion (a clear liquid patted on to the skin before moisturizer) which contains about 90% Pitera, and this is usually the first product most people try from the brand. 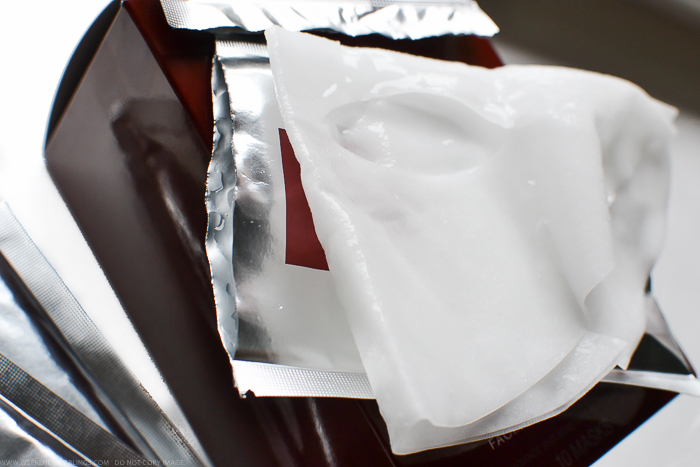 In my opinion, though, an equally good product to start with are these SKII Facial Treatment Masks, which are cotton sheet masks that come drenched in the Facial Treatment Essence and are a good way to jump-start your way to healthier skin. On to the mask itself, these can be bought as individual packets (single-use, one packet that's ideal for trying the mask without spending too much) at $17 each or in slightly more economical packs of 6 or 10. 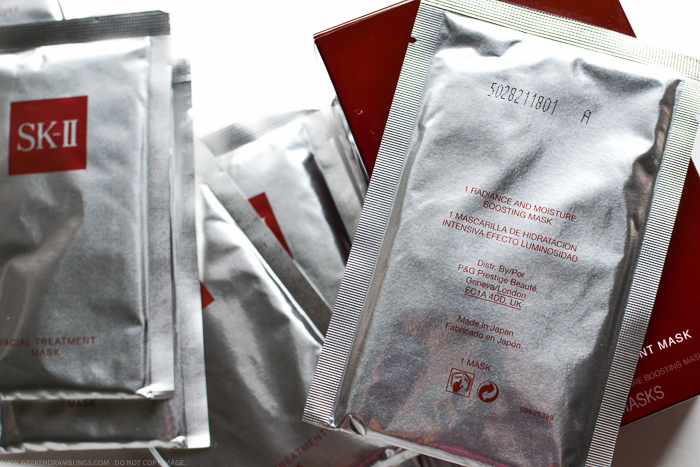 The masks are packaged in individual pouches, each packet containing a thick cotton sheet mask generously soaked in Pitera-containing lotion. In fact, there is so much lotion in each mask that I have to be careful not to spill any of it on to the floor while taking the mask out of the packet. This also makes the mask a bit difficult to unfold, but nothing too bothersome. Apart from this, the SKII Facial Treatment Mask looks like any other sheet mask - cotton sheet with holes for the eyes, nose, and mouth. A lot of lotion is usually left behind in the pouch, and I use this like a serum (before my moisturizer) over the next few days - usually lasts 3-4 days. An Ikea Bevara clip (large) is perfect for keeping the pouch closed. 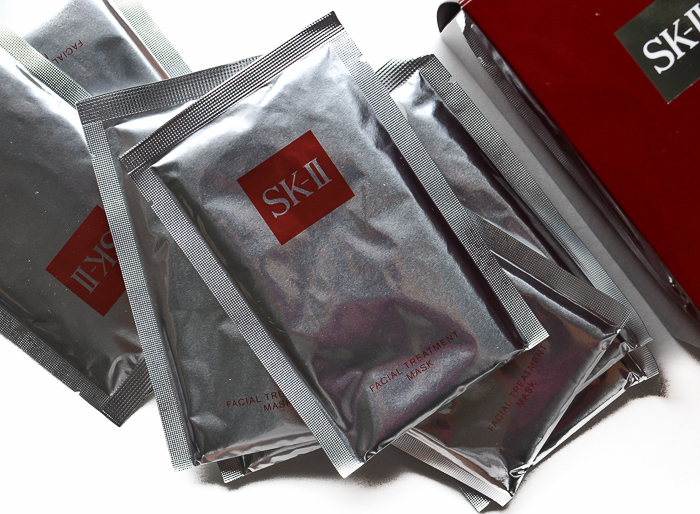 How to Use the SKII Facial Treatment Essence Mask: Place the mask on clean, dry face. Smooth out any folds in the mask so it touches the skin evenly and lie down and relax for at least 10 minutes. I keep it on for about 30 minutes or until the mask feels a bit dry to touch, just to ensure that most of the lotion has soaked into and been absorbed by my skin. I can walk around with the mask on - it won't slip or fall off - but I prefer to relax while I have it on. Once I am done with the mask, I discard the mask, massage in any residue into the skin, and follow with my usual moisturizer. I use this mask about once a week, and after each use, I find my skin looking fresh and plumped. The effects are most obvious for about 2 days, and then my skin starts going back to usual. Using the leftover lotion as a serum definitely helps extend the healthy look a bit. This is not a brightening/whitening mask, but it adds radiance to the skin just by making it look smooth and healthy. With just one application, I noticed a big difference in my skin, and since adding this to my skincare routine (about a year now), I have definitely noticed an improvement in my skin's appearance. That said, I don't think this would work the same way on everyone. The SK-II Facial Treatment Mask works best, in my opinion, on skin that needs a bit of moisture - not necessarily the same as dry skin type (which is skin that lacks oil) - and is a good pick if your skin looks tired and dull, either because of age or just environmental factors. If you are younger and/or are blessed with well-moisturized skin, this might not add anything much.